You are here: Home / Celebrity Events / Demi Lovato Brings Her Neon Lights World Tour To Calgary! – Pics Here! 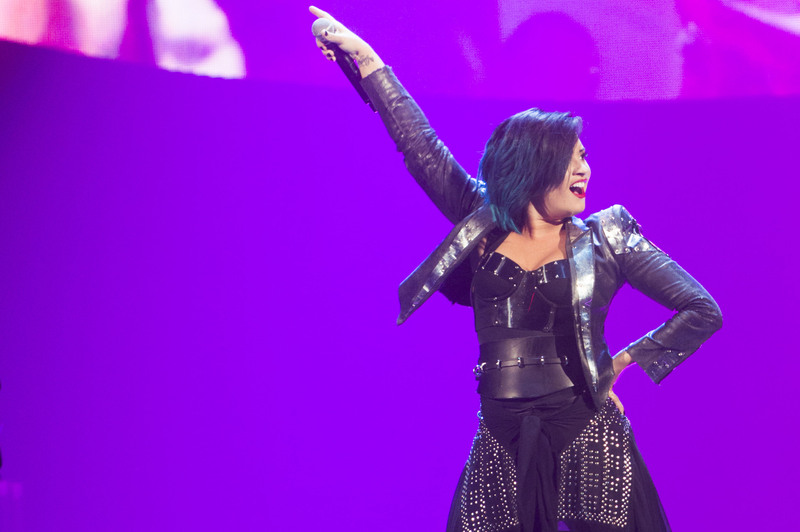 Demi Lovato Brings Her Neon Lights World Tour To Calgary! – Pics Here! Demi Lovato brought her incredible Neon Light World Tour to Calgary on the night of October 5th. Last night Canada enjoyed a mind-blow show from Demi filled with creative costumes, rockin’ music, and many memorable moments. If you missed the show, never fear! We have some killer pics from Demi’s show below! Have you gotten a chance to see Demi live on her Neon Lights tour yet? Let us know your stop in the comments below! « Vanessa Hudgens Spotted Out And About In Los Angeles! – Pics Here!